The Epsom Derby is widely considered one of the toughest thoroughbred horse races and the Derby Festival (Friday 2nd June and Saturday 3rd June) 2017 renewal is already generating interest. Find out how to find the winner as explained below. There is the Irish Derby, the Italian, the German, French, Kentucky and countless other derbies run around the world. There are even donkey derbies, mascot derbies and I even saw a ferret derby run at my local fete one year. 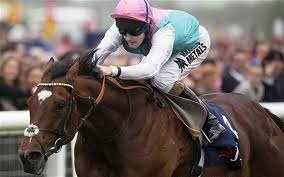 However, while there are many imitations there is only one true derby: the Epsom Derby. The Epsom Derby was first run at Epsom in 1780 and was named in honour of its founder Lord Derby. He also invented a championship race for staying fillies first run a year earlier and that race was named in honour of his home ‘The Oaks’. However, Epsom isn’t the most obvious venue for these great flat races. The problem is that as a track for flat racing the course simply isn’t flat. The start of the Epsom Derby takes place at the highest point of the course and the runners race across various undulations until they reach Tattenham Corner, which is basically a sharp dowmhill bend that leads into the straight. The straight itself though has a marked camber towards the inside rail and so horses tend to fall towards the far side of the track. These characteristics make Epsom unique and while some say that the Derby is "the best race in the world run at the worst track", they fail to recognise that Lord Derby ran the race at Epsom to provide thoroughbreds with the ultimate test of speed, balance and temperament. It seems to work because in the history of the race you find few bad winners and horses throughout the world bred to win this unique race. 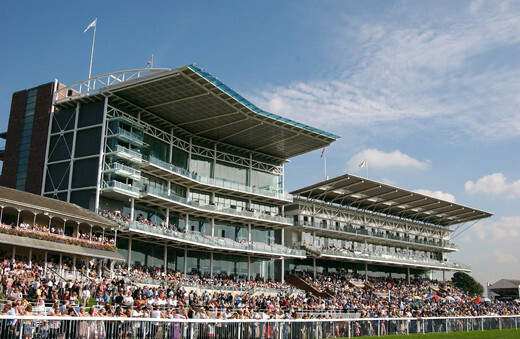 The mile-and-a-half distance of the Derby is often at the stamina limits of most flat bred horses and one of the key puzzles of the race is to work out which of the runners will stay best. The 1984 renewal is a good example of why you need to consider stamina as much as class. El Gran Senor was the red hot favourite and was clearly the best horse in the race by some margin. He had won a vintage running of the 2000 Guineas at Newmarket in impressive fashion and went into the race regarded as one of the best horses ever trained by his legendary trainer, Vincent O'Brien. In the race itself El Gran Senor was absolutely cantering inside the final furlong and jockey Pat Eddery remained motionless in the saddle. Then the horse simply ran out of petrol and was outstayed by the far inferior but dour stayer Secreto. You can go to great lengths to study a horse's pedigree to work out whether or not it will have the stamina to last out the Epsom Derby trip. One of the most accurate methods is the Dosage Pedigree Rating system that was developed by Dr Steve Roman. This awards stamina points for certain sires in the horses pedigree, going back several generations. After calculating all the points you arrive at a rating that gives you an idea about whether the horse's pedigree is loaded with stamina or speed. To win the Derby a horse would need to have more stamina than speed points in its bloodline otherwise it will be a doubtful stayer. However while this method is fairly accurate it is also complicated and time consuming to work out. A much simpler way of assessing whether or not will stay the Derby distance is to identify the maximum winning race distance recorded by each horse as a juvenile. Most races for juveniles are run over distances of between five and seven furlongs. However for staying types there are juvenile races over a mile and more. Horses that can win these races as juveniles are highly likely to stay at least a mile-and-a-quarter as 3yo's and by the time of the Derby in June they should have matured sufficiently to stay the Derby trip. This does not mean that the horse is guaranteed to last the distance but it does give a very good indication. For example, in the last seven years North Light, Motivator, Authorized, and Sea The Stars were Derby winners that had all won over a mile or more as juveniles. While you can make some assessment of whether a horse will stay the Epsom Derby trip it is more difficult to judge whether or not a horse will handle the track and many good horses have been beaten in the Derby, not because they lacked the class, but because they simply failed to act on the track. The case of Dancing Brave is a good example here. This was a horse that was simply brilliant but he remains probably the greatest horse never to win the race because he simply failed to negotiate Tattenham Corner. He became so unbalanced on that bend that he completely lost his stride pattern. Once he got into the straight he was almost last and had the best part of twenty-five lengths to make up on the leader and eventual winner Sharastani. The fact that he made up all this ground apart from the final few inches was demonstration of his sheer class. In all their subsequent encounters Dancing Brave easily outclassed Sharastani proving that it was only the track that beat him at Epsom that day in June 1986. There is no real way of knowing whether a horse will handle the track. It used to be the case that a victory at tracks like Lingfield or Chester was a positive because these tracks have similarly sharp bends to Epsom. However, in recent years the Epsom Derby trials run at these tracks have been less informative than in the past. A better guide might be to consider a horse’s level of maturity. The rationale here is that the physically more mature types will be the ones most likely to handle the demands of Epsom. The statistics seem to confirm this because older horses tend to do slightly better in the Epsom Derby. For instance, horses born in the early months of the year do better at Epsom than late foals. Thus while all horses have to be three years of age to run in the Derby some may be several months older than their youngest rivals. This can make a difference and six out of the last seven Derby winners were born in January, February or early March and the other winner was foaled in early April. Indeed Sir Percy in 2006 was born in January. This meant that by the time he came to run in the Derby as a three year old he was as much as three or four months older than a number of his rivals. This had to be an advantage and it is interesting to note that Sir Percy ran well in the 2000 Guineas in May and won the Derby in June but did very little in the rest of his career. This might very well have been because he had lost his age advantage over his rivals as they matured. A good draw is also an important factor at Epsom. This is logical when you consider the nature of the track. A wide draw has to be a disadvantage when negotiating Tattenham Corner because you can lose a huge amount of ground by going wide at this bend. The camber on the track is also more marked on the stands side and horses tend to be pulled towards the far side rail, especially as they get tired. Therefore, a horse starting wide will lose ground at Tattenham Corner and will lose further ground as they inevitably roll towards the far rail. Horses that are drawn low and start close to the inside rail can therefore save many lengths. In the last seven years Kris Kin (drawn four), North Light (drawn six), Motivator (drawn five), New Approach (drawn three), and Sea The Stars (drawn four) were all victorious from a single figure draw position. This isn’t to say that a horse cannot overcome a poor draw but it does mean that a jockey has to do some serious maneuvering in the early part of the race to get closer to the favourable inside rail. However, while a good draw, maturity and stamina are all important Derby winning factors the most important characteristic is class. The Epsom Derby is more often than not won by the best horse in the race. Racing Post Ratings (RPR) are important here but it is the RPR earned by the horse on its most recent start that is the biggest clue as to how it will perform at Epsom. The higher the rating earned last time out the better. This is rational because you want to be on the horse that is at the top of its form (i.e. ran well last time out) and has the highest last time out rating. Indeed the last seven winners earned an RPR last time of at least 119, with five winners recording ratings from their last start of at least 120. 1. Multiply the horses RPR from its last race by nine points. 2. Multiply the draw by -four points (note the minus sign). 3. Multiply the month in which the horse was foaled (e.g. January=one; February= two; March=three…December=12) by -12 points (again note the minus sign). 4. Award 37 points to the horse if it won a race as a juvenile over a distance of eight furlongs or more. My simple system for the Epsom Derby measures each horse’s level of class, maturity, stamina and its draw position. These four factors have identified five of the last seven Epsom Derby winners and have selected the last four winners of the race. I’m hoping that it will be five out of five in June 2010!